The indoor arena and stables were purpose built. The 20 x 42m arena has a large number of ceiling and wall light panels which create a spacious and bright feel. 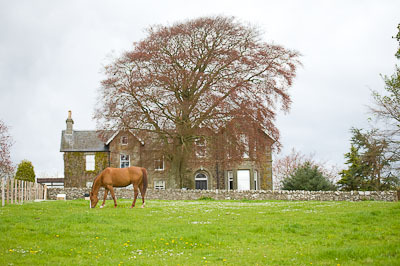 The stables are equally bright and at 14′ x 14′ can accommodate the largest of horses. The surrounding fields have been divided to provide individual turnout paddocks. The yard enjoys access to superb hacking including community woodland and bridle paths which along with the on site facilities creates the all round equestrian experience.